There are lots of interesting statistics in CIO Census 2014, but one of the most important ones wasn’t even captured by our primary research. When we developed the questionnaire for our second-annual study of senior IT executives across Canada, it seemed like a good opportunity to do a reality check around one of the most talked-out predictions from a major industry analyst firm. This was the statement from a Gartner Inc. study which said that within just three years, 40 percent of IT budgets will be controlled by the line of business (LOB). 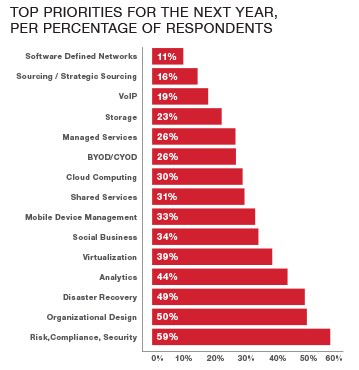 CIOs in our survey were asked whether they agreed, disagreed or just weren’t sure. Their reaction helps explain a lot of the other data we uncovered. A majority of 60 percent said they agreed with Gartner, followed by less than a quarter who didn’t and an even smaller portion who aren’t sure. This is a hugely important number. It suggests that, after years of being told to work more closely with the business, CIOs are recognizing that full ownership of what gets spent is no longer in their sole purview. It acknowledges, perhaps reluctantly in some cases, that certain IT decisions need financial sign-off from the group that will experience the greatest impact around those investments. Whether they like what’s happening or not, CIOs are facing challenges to their future head-on, preparing themselves for a potentially more complex approach to spending on technology. 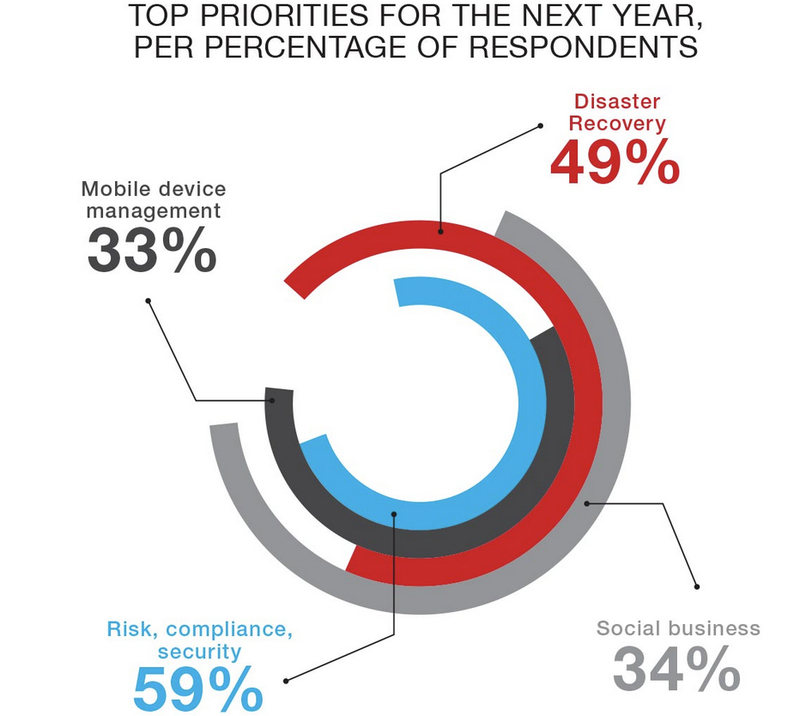 That 60 percent probably accounts for the biggest Canadian CIO priorities, too. Naturally security, risk and compliance was No. 1, but organizational design wouldn’t be No. 2 if they didn’t sense a sea change of some kind is happening. Organizational design can include many things, but I suspect that in many cases it shows the growth of a “digital enterprise” strategy within many firms. While “digital” technologies have been around for some time, the term digital enterprise has been used more recently to describe the emphasis of Web sites, mobile apps and other virtual experiences as an increasingly vital way for organizations to connect and interact with key stakeholders. This could be partners and suppliers as part of an advanced supply chain, but more often it tends to be customers who want to access information or buy things via a smartphone or portal. The work to create a great digital experience is already a key driver in many sectors today, including retail and financial services. It will also become an area of substantial investment by Canada’s biggest IT spender, the public sector, where cost-effective and more value forms of service delivery to citizens will become paramount. A true digital enterprise requires a good team and solid leadership, but it may also require a framework for evaluating and deploying technology that isn’t common in many firms today. How CIOs will emerge from these organizational design exercises is uncertain, and may be worth studying in next year’s CIO Census. I’ve certainly seen a gamut of opinions on this. Some think CIOs will become a sort of internal consultant, but I think that’s too limiting. Some may become chief digital officers or report directly into marketing, but not if the organization performs the kind of functions (as many do) that have nothing to do with brand awareness or demand generation. In an ideal world, it would be great to see more CIOs rising up to become true peers of CMOs and even CFOs, to whom may have reported in the past. Anecdotally I have heard from many IT leaders and experts that CIOs had been “punished” for technology project failures by no longer reporting into CEOs directly. That thinking seems antiquated now. With more vendors and analysts calling on CEOs to take more of an active role in defining the advantages they can gain from strategic use of IT, it seems inappropriate for CIOs to be one step removed from them. 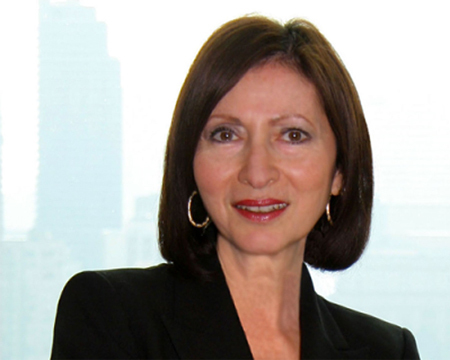 If they have less budgetary power, what do CIOs have left? As always, it’s knowledge. Knowledge of how technology works and how it can help achieve business objectives. Knowledge of the vendors who supply the products and services, and how to manage them for optimal results. Knowledge of how best to use the data that companies collect, store and manage — there is a reason why analytics is also becoming one of the key places where CIOs are spending more of their time. Most importantly, they should have intimate knowledge of their organization: the cultural DNA that determines the risk factors as well as the strengths that can help make the inevitable transitions triggered by disruptive technologies more seamless. Sometimes, when I host roundtable discussions or interview CIOs about their big focus areas, I wonder if they’re talking so much about innovation because they want what they’re doing to be perceived as more valuable. In fact, a great CIO is invaluable, and if nothing else, the data represented by CIO Census 2014 shows that more CIOs are striving for greatness than ever before. This started to happen after waves of outsourcing and cloud computing saw many of them reduce the size of their staff. Now, if their budgets are being spread out, that sense of existential crisis could be exacerbated, but not if they try to help lead the process rather than get dragged into it kicking and screaming. That 60 percent of those recognizing the role of the LOB suggests they have the right attitude. 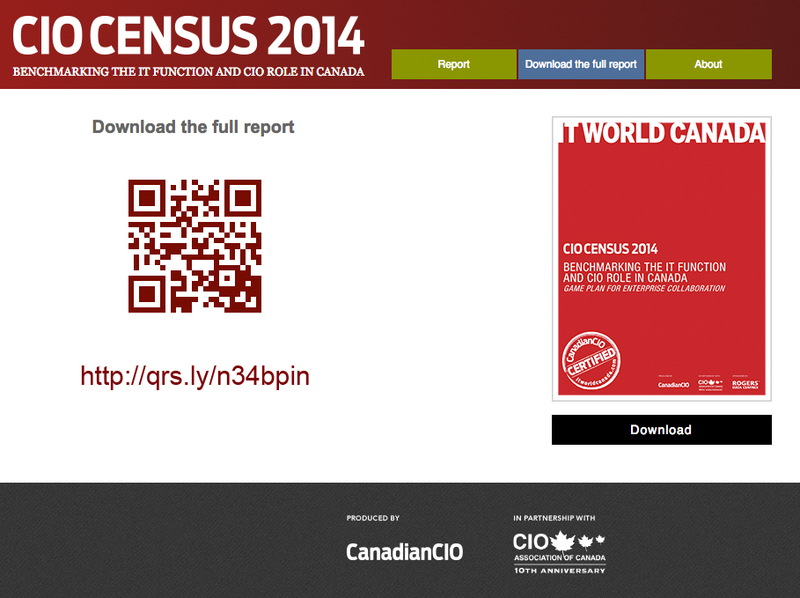 We’re presenting a snapshot of key data points in CIO Census 2014, but for a much more granular look at CIO Census 2014, visit the microsite we’ve created and download the full report. Then reach out to me via sschick@itwc.ca to let me know how well the portrait this study is painting resembles you and the world you live in. Thanks to Rogers Business Solutions for sponsoring this project, and thanks to everyone in our audience who took part in the research this year. More than 140 respondents surveyed.